What other information Do I need to have about oil? Get to know a little more about other aspects of lubricating oil. 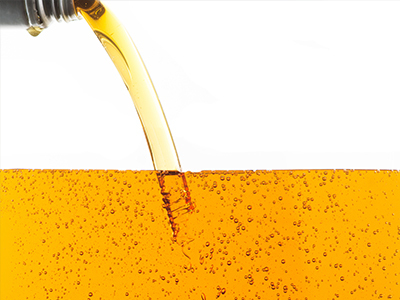 After dealing here with the compatibility between the lubricating oil and the refrigerant fluid, let’s now talk about the viscosity of the oil and a topic that always raises many doubts: the oil load. Viscosity is the resistance that a fluid offers to the flow. You may have noticed that some types of oil are thicker and others have more liquid consistency. The numbering contained in the oil nomenclature lets you know if it is more or less viscous: the smaller the number, the less viscous (for instance, ISO 22 is less viscous than ISO 32). In general, oils with higher viscosity provide optimum lubrication. On the other hand, they require more energy expenditure, because they cause more resistance. They are especially suitable for application in places where there is more clearance between the parts to be lubricated. But the new trend for compressors is to use oils with lower viscosity. The advancement of technology allows this type of oil to be present in high efficiency models, providing the best results in terms of lubrication and energy efficiency. • The compressor oil load must not be completed. It already leaves the factory with the correct quantity, defined according to the characteristics of its project. This load meets the lubrication needs of the mechanical kit and includes a spare to replace the system losses. • The load cannot be higher or lower than specified. Excess oil causes problems in other components and generates more resistance, causing additional energy expenditure and wear (which can also occur due to lack of oil). • In case of replacement of the compressor, the system must be cleaned in order not to mix the oil of the new compressor with that of the old compressor. Finally, it is important to note that there is no better oil than the others. What exists is the right oil for each application! WHICH OIL IS COMPATIBLE WITH EACH REFRIGERANT FLUID?